Awesome. Good luck on them! Hi, I'm freakmoch! I remember watching .hack//roots when CN had it at the abysmal hour of 5:30am. Nice to meet you all! freakMOCH wrote: Hi, I'm freakmoch! I remember watching .hack//roots when CN had it at the abysmal hour of 5:30am. Nice to meet you all! Glad to have you fellow dothacker! What series was your favorite overall? Avatar_Crim wrote: Welcome GMO. Good to have you here, and awesome that you worked on the series. Thank you. Currently working on some projects for the series. 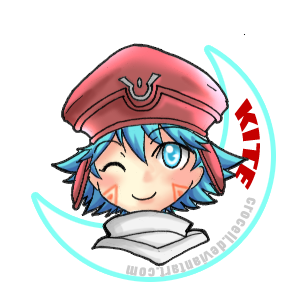 I am so freaking happy to find a recently active .hack forum! I've been a fan only since the start of the G.U. series. Still yet it has captivated me like no other series ever has. It truly is a cult following and is tough to find anyone to chat about the series with. Hope to be an active member and share in the nostalgia with you all! mewho wrote: I am so freaking happy to find a recently active .hack forum! I've been a fan only since the start of the G.U. series. Still yet it has captivated me like no other series ever has. It truly is a cult following and is tough to find anyone to chat about the series with. Hope to be an active member and share in the nostalgia with you all! Yeah, odd bit of luck for me. Thank you for having me aboard! mewho wrote: Yeah, odd bit of luck for me. Thank you for having me aboard! I take it as you've been following .hack since G.U. you managed to acquire the games while they were relatively cheap? I've kept all of them and have been able to play all through the G.U. series. Much anything else before or beyond G.U. I have not touched. Though since I have no working 1st model ps3 or ps2 I have to resort to ISO play to relive those games. mewho wrote: I've kept all of them and have been able to play all through the G.U. series. Much anything else before or beyond G.U. I have not touched. Though since I have no working 1st model ps3 or ps2 I have to resort to ISO play to relive those games. Don't really know what to say but I'm still on the final boss of game 1 and game 2 is on the way but I've read facts and wikis to ease my curious mind when I've got nothing to do and starting to love this series more and more by the passing day. Good luck beating Skeith and hope Mutation arrives in good condition. you shouldn't read too far ahead,that'll spoil the surprises to come. Welcome REDxYELLOW. What kind of questions did you have? Maybe they don't know about the quick links to "new threads", so after not being able to find new content they forget to come back?